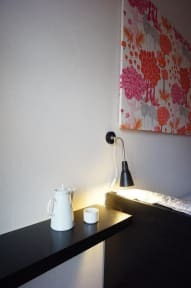 Vitamin Hostel i St. Petersburg, Russland: Bestill nå! Vitamin hostel was opened in 2013. It is located in the heart of the city in 181 years old historical building, steps from “Sennaya” square and three metro stations, within a short walking distance from main St. Petersburg attractions. In addition, one can find a range of museum, cathedrals, shops, bars, cafes and restaurants just around us. 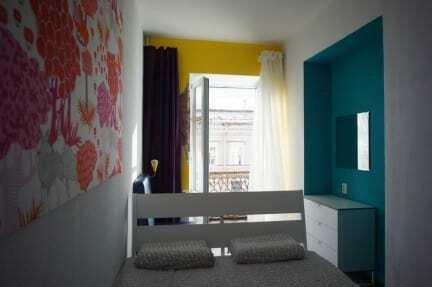 Vitamin hostel is a small, comfortable, warm and friendly hostel that welcomes travelers from all over the world. Guest can relax in our chill out room with sofa, and small library. Wi-Fi access is also available throughout the property for free. We have a large communal kitchen where you can cook whatever you want. The kitchen is equipped with oven, microwave, fridge, toaster, coffee machine and has all the necessary dishes. It also has comfortable sofas. Self-serving only. Facilities: 4 showers and 4 toilets. We have a free washing machine and free washing powder, free iron with a board, hairdryer. Free services: We offer our guests Wi-Fi, tea and coffee, drink water, washing machine with washing powder, hair-dryer, iron, first aid set, bed linens and towels. Early/Late check-in/check-out is also possible for request. Taxes are included. Breakfast is NOT included.